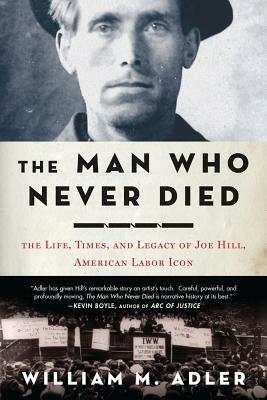 In 1914, Joe Hill, the prolific songwriter for the Industrial Workers of the World (also known as the Wobblies), was convicted of murder in Utah and sentenced to death by firing squad, igniting international controversy. In the first major biography of the radical historical icon, William M. Adler explores an extraordinary life and presents persuasive evidence of Hill's innocence. Hill would become organized labor's most venerated martyr, and a hero to folk singers such as Woody Guthrie and Bob Dylan. His story shines a beacon on the early-twentieth-century American experience and exposes the roots of issues critical to the twenty-first century. William M. Adler has contributed to numerous publications, including Esquire, Rolling Stone, Mother Jones, Texas Monthly, and the Texas Observer, and is the author of Land of Opportunity and Mollie's Job. He lives with his wife and son in Denver, Colorado. Visit themanwhoneverdied.com.